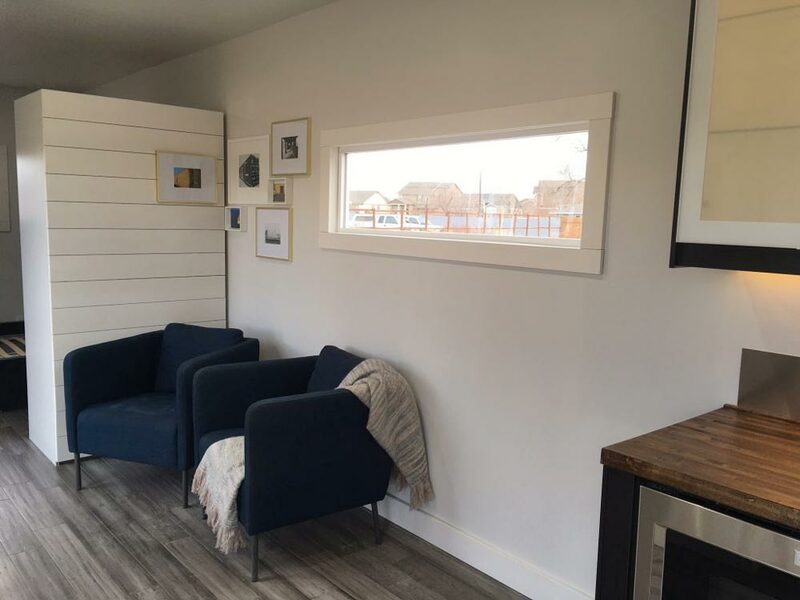 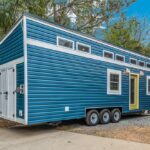 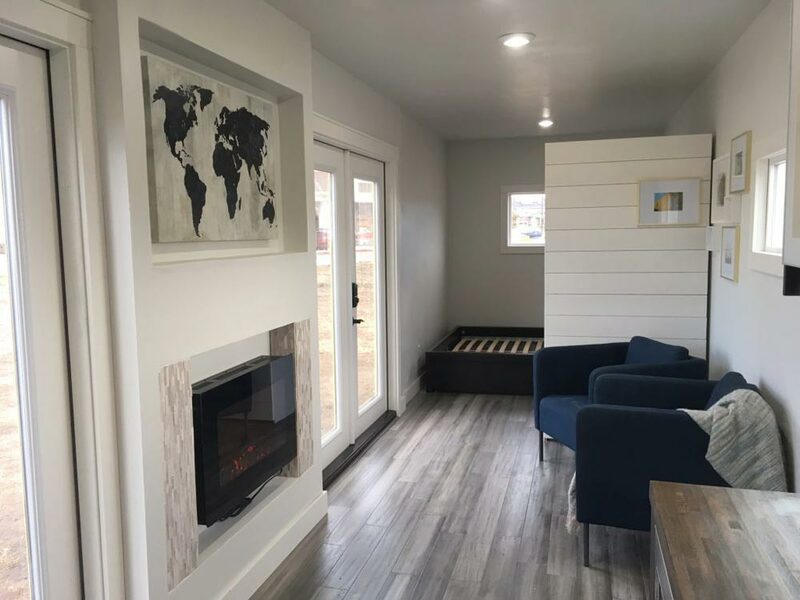 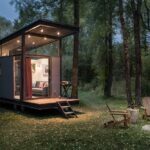 The Intellectual is a 320-square-foot shipping container tiny house with a main floor bedroom, electric fireplace, and two double French doors. 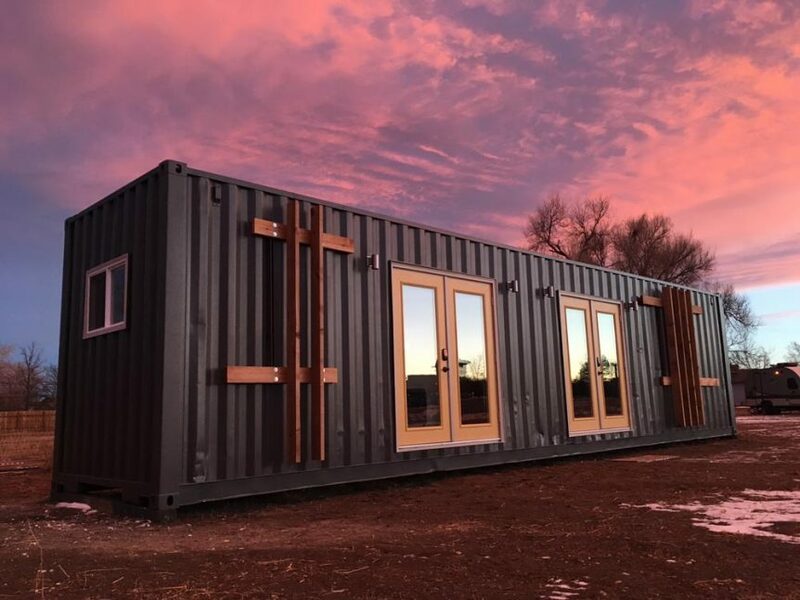 The builder, Roostspace, is located in Longmont, Colorado. 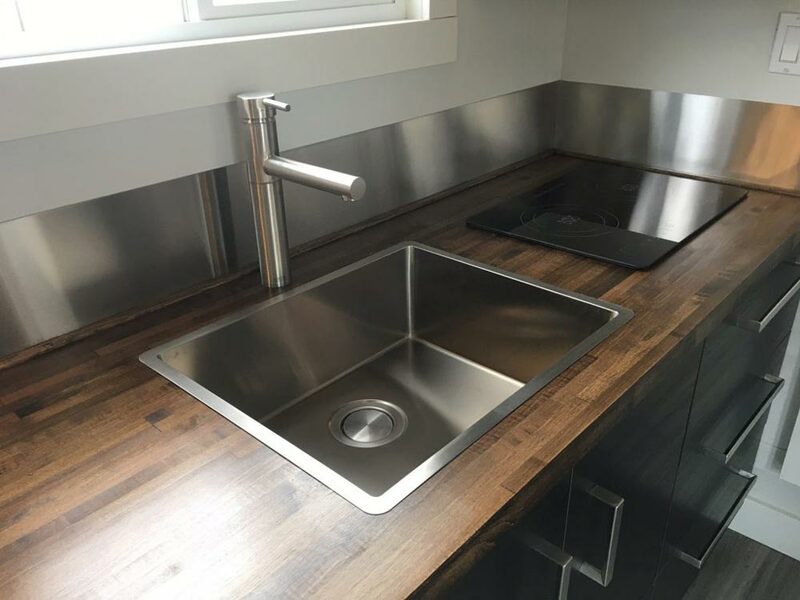 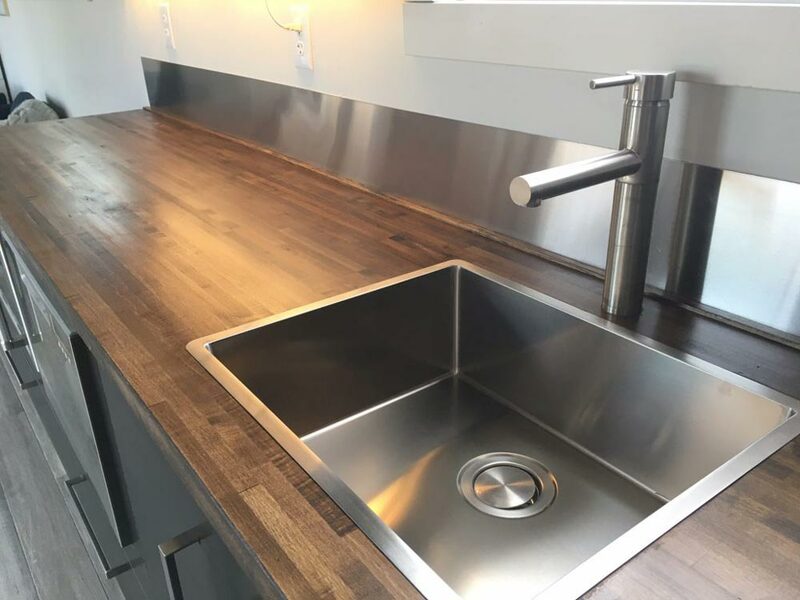 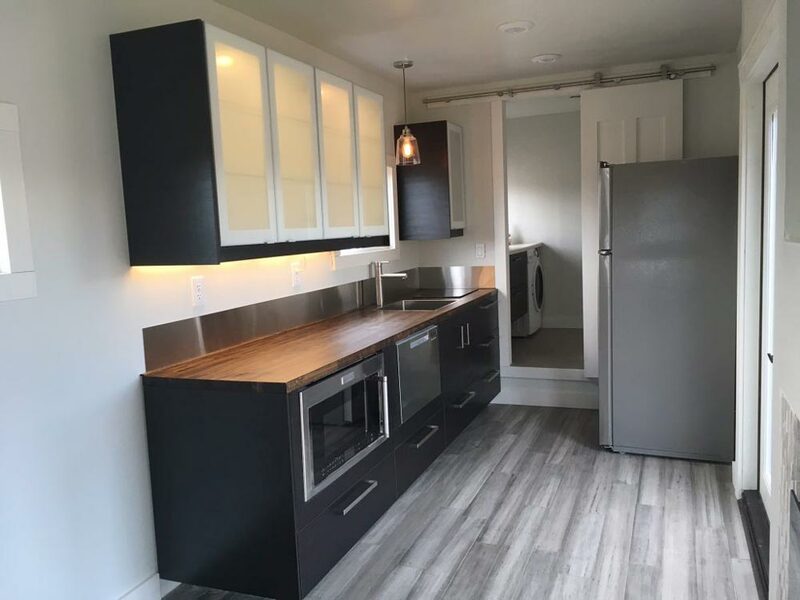 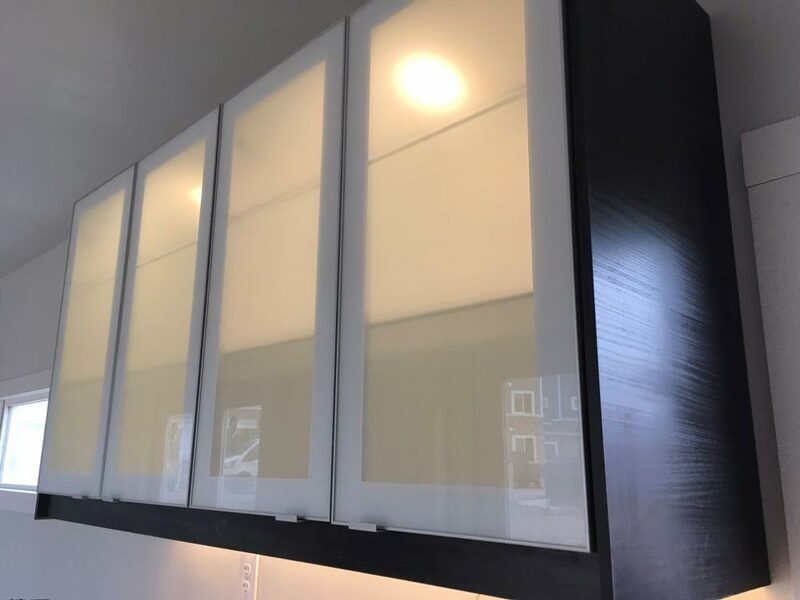 The kitchen features sleek, modern cabinets, an induction cooktop, and full size stainless steel appliances including a convection microwave with sensory cooking and a dishwasher drawer. 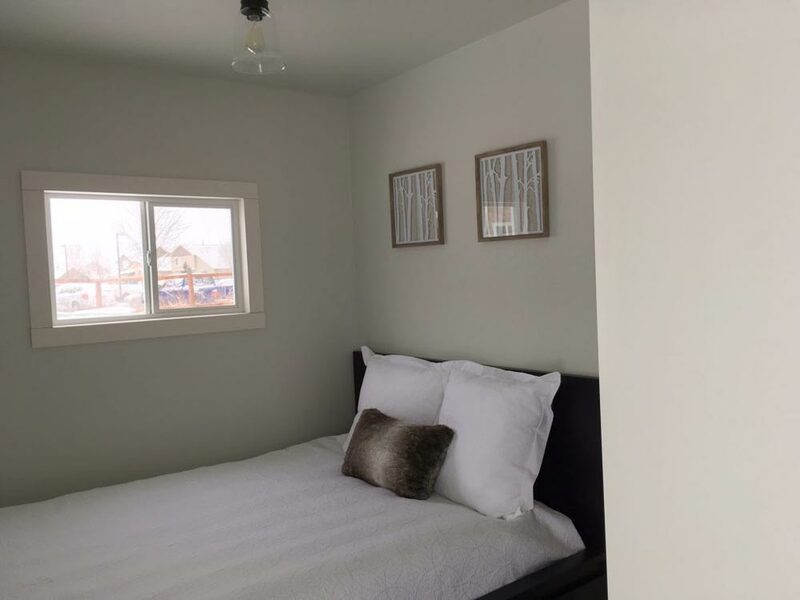 The bedroom has a queen size bed, a large closet, and addition storage compartments. 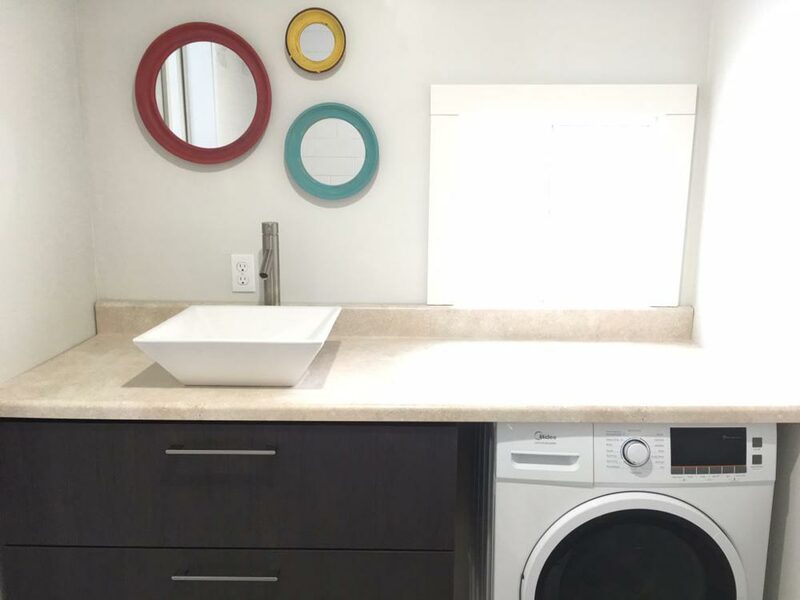 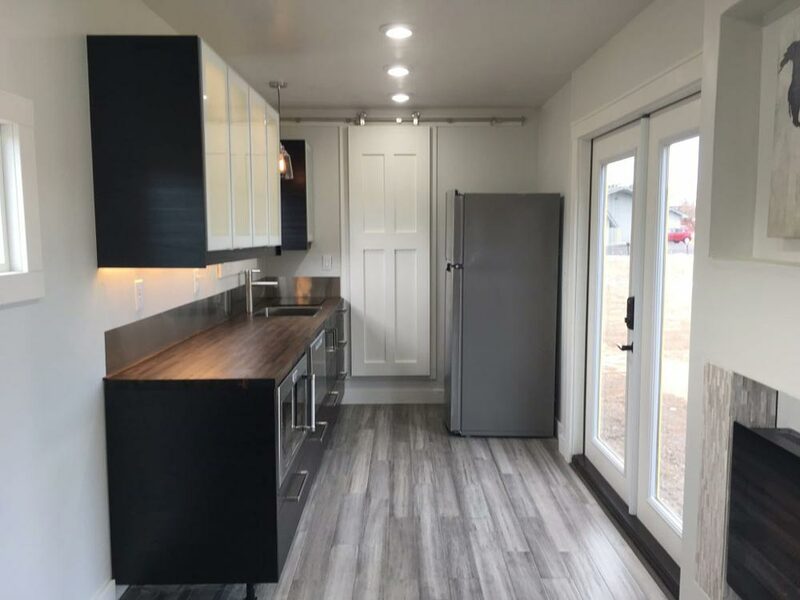 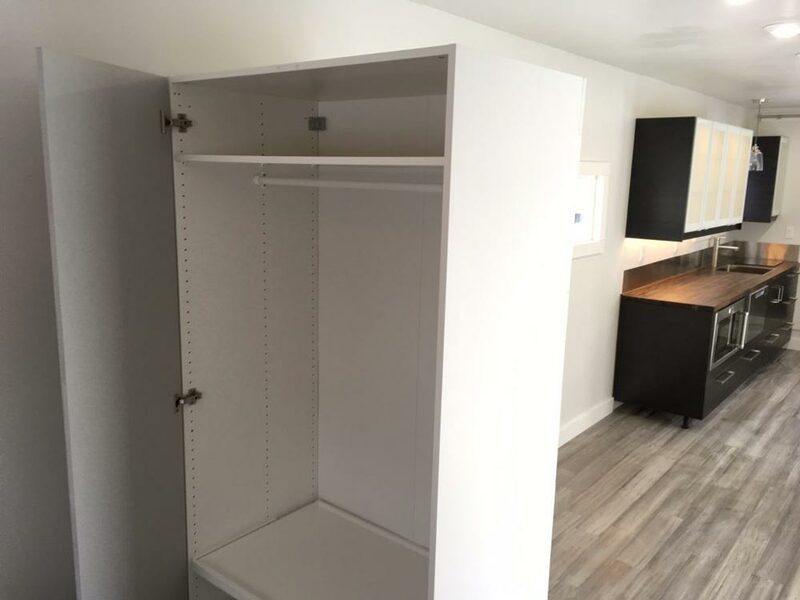 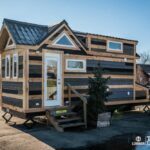 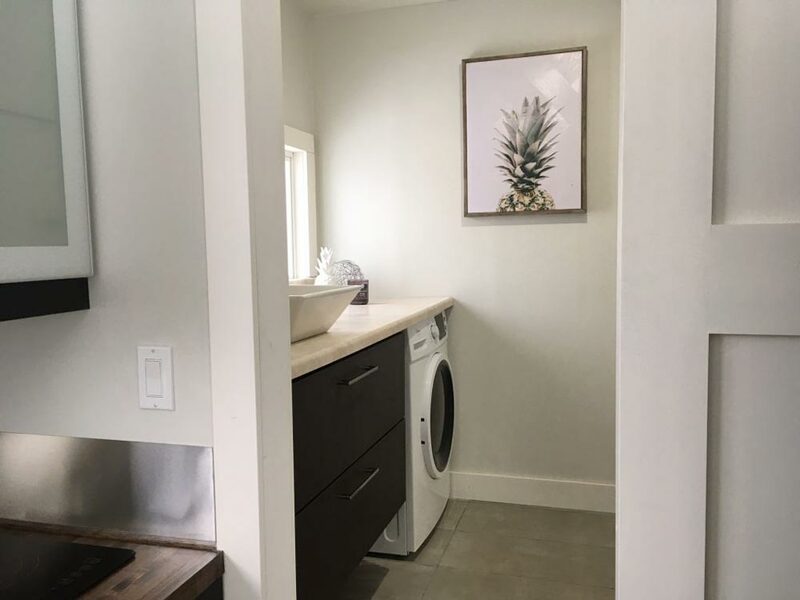 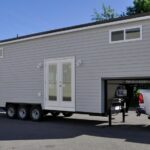 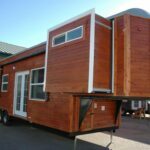 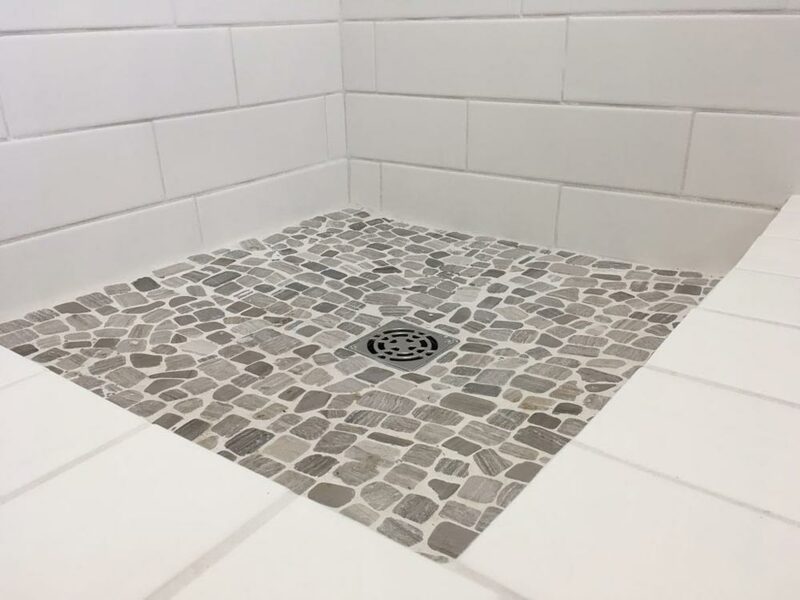 The full bathroom is located on the opposite end of the tiny home and includes a full size shower, ample storage space, and a washer/dryer combo. 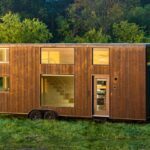 The Intellectual starts at $54,000.